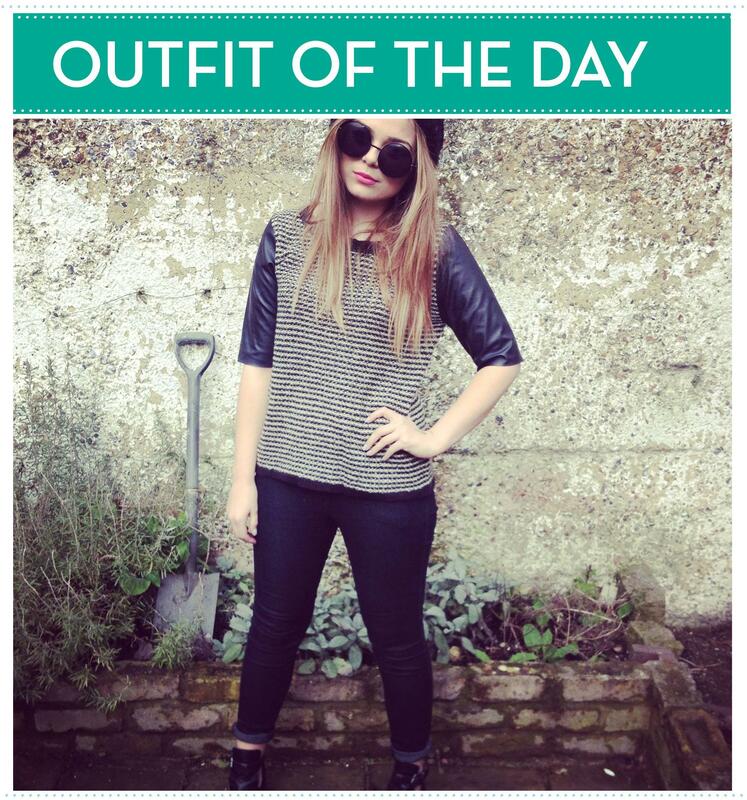 This was the outfit I wore on Saturday and I got my housemate to take a snap of me on my phone! We were all in a flurry on Saturday as we had new people moving into our house and people moving out on the same day. However I wasn't actually to helpful (I got in the way basically) so retreated back to my bedroom to snap a few more pictures before organising a trip to the pub. My contribution to the moving in process! I really liked this outfit, I like the toughness of it while also being a bit girly with the lipstick! It's Illamasqua Immodest if you're wondering! PS. I'm currently away at Center Parcs but I've gone and scheduled some posts to keep you tided over until I make my triumphant return on Thursday! I'll try and get some snaps from when Im away too, I fancy doing a vlog as well! Hey pretty ladyyyyyy! This top is so nice, love the contrast sleeves! 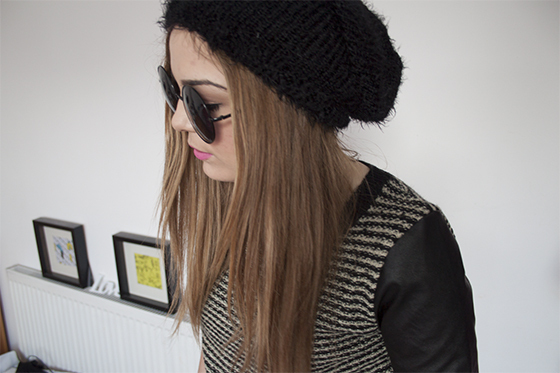 love the beanie and the sunglasses! I am so in love with the leather sleeve top! love the beanie and glasses! You look freaking incredible Lily! This is such a brilliant outfit! Love your hat, and those glasses are just awesome! 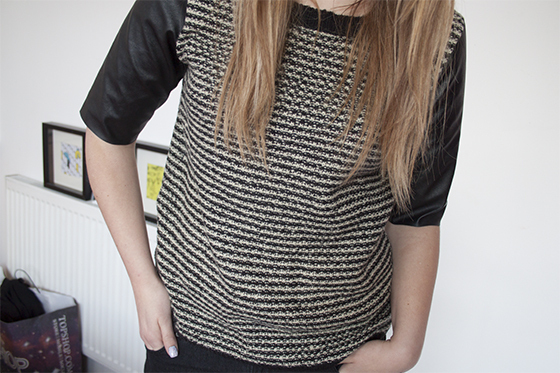 Looove the top - it looks really snuggly then the leather sleeves add a really cool touch. Lovely look, the sunny's really suit you. Love the shirt!! The glasses and lipstick make everything perfect!! Love love love those sunglasses, remind me of micky mouse so much. Lovely post lily! Hope you are enjoying Center Parcs, I went last year for the first time ever, almost tops a holiday abroad... if only it was sunnier in England then it'd be a winner! This is the coolest of tops, and I'm seriously in need of that lipstick! Wow you look adorable in these outfit . Truly wonderful sunglasses for women !! !